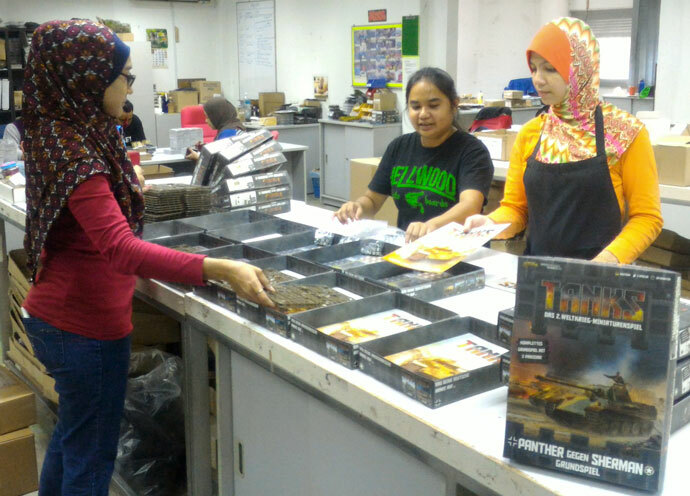 The factory team in KL (Malaysia) are working hard to pack all of the language editions of TANKS to be delivered to distributors all across the world. 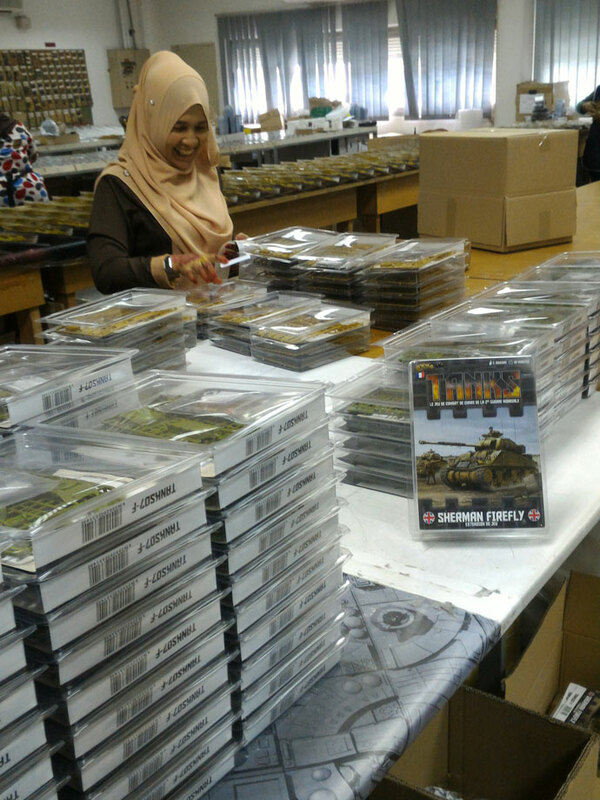 They are currently packing German, French, Italian, Spanish, Portuguese and Polish editions of the TANKS starter set and blister packs. 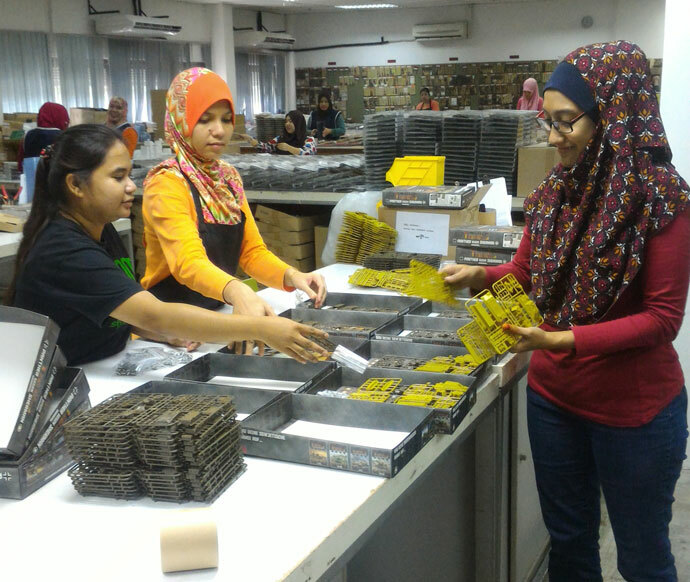 They are also packing English starters sets as well. 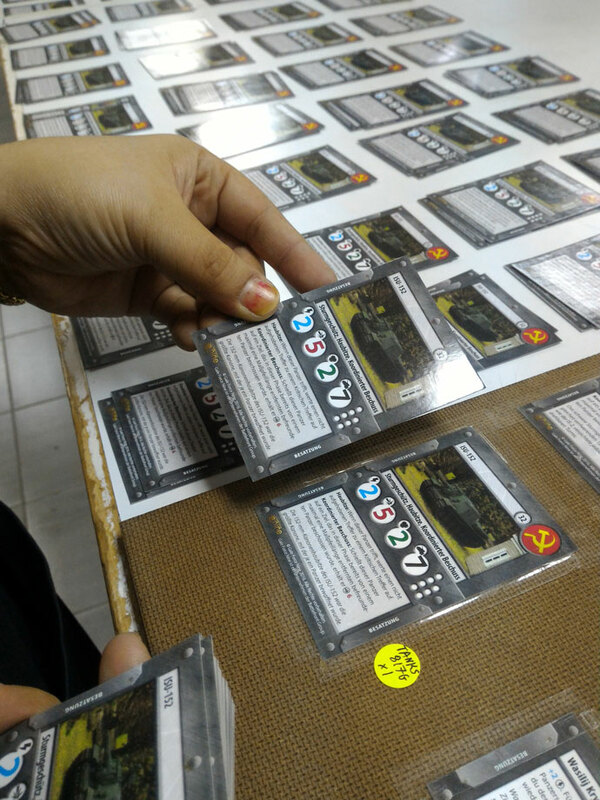 The first wave consists of the core game and ten tank codes and will be followed by the wave two model releases. Each market will also have its own organised play kits that will mirror the English kits already released. Stay tuned for more news from our partners in each market.